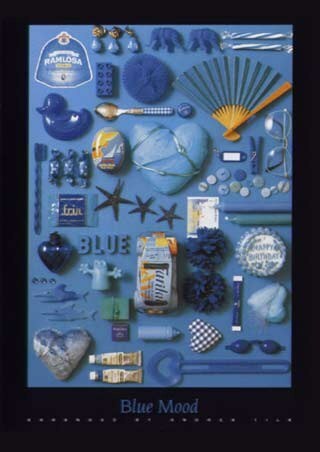 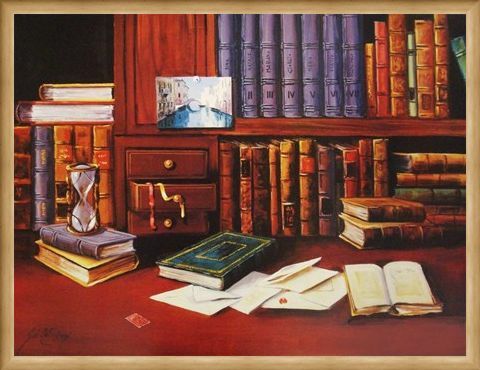 Art Print: Give your room a feeling of intellectualism with this colourful Italian art print by G. De Simoni. 'Biblioteca con Clessidra' (Library with Hourglass) shows a stately looking library filled with books and letters as well as a quaint hourglass sitting on a stack of books. 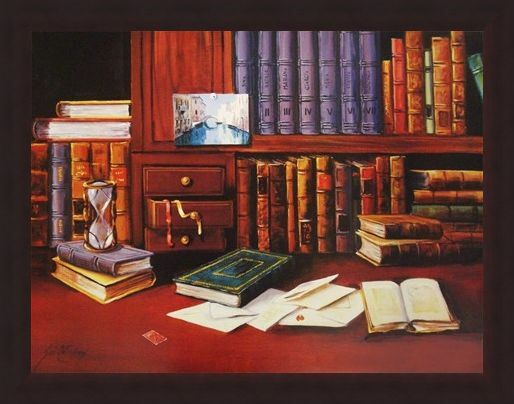 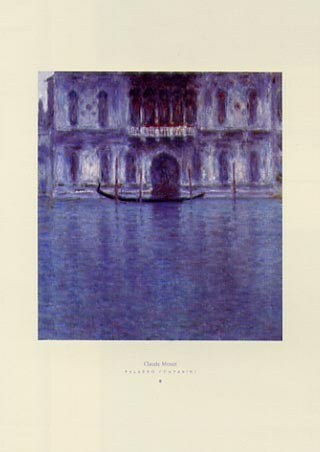 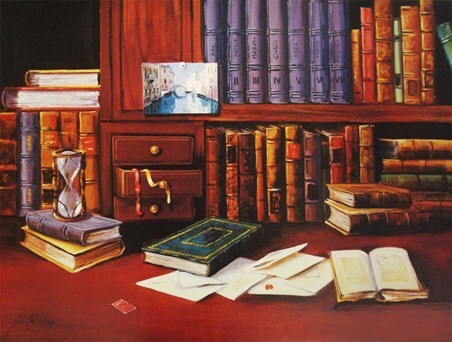 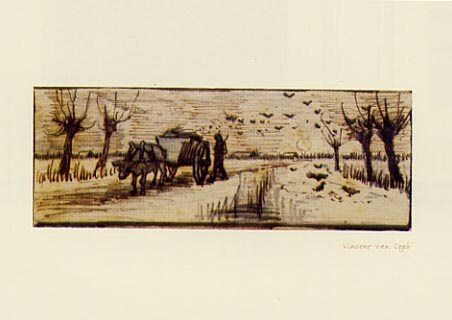 The dark wood bureau in the background is packed with purple, orange and red books with their spines lined up evenly along the shelf as well as a colourful postcard of the Grand Canal in Venice. This charming print will make an eye catching and unique addition to your wall with its warm tones and studious theme. 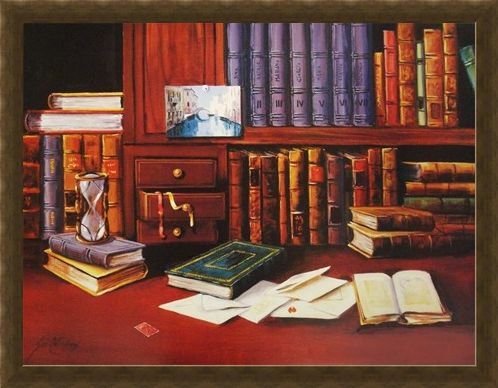 High quality, framed Library with Hourglass, G de Simoni print with a bespoke frame by our custom framing service.